© PATRICK BAZ/AFP/Getty Images Israel has claimed that the Lebanese militia Hezbollah has been storing missiles throughout Beirut, shown here in 2016. No evidence of missiles or their production was seen. The allegations and the Lebanese response have come, however, as a reminder of the real risk of another Israel-Lebanon war as the conflict in Syria winds down. This has left Lebanon’s Shiite militia Hezbollah, which is allied with Iran and has fought for Syrian President Bashar al-Assad, in a more powerful position than ever. Netanyahu made the allegations at the United Nations last week, unveiling a satellite map showing three sites near Beirut’s airport where Hezbollah purportedly has hidden advanced missiles that could be used to target Israel. The presentation raised concerns across Lebanon that Israel is planning an attack on the sites. The tour was organized to demonstrate that Netanyahu is an “international liar,” said Lebanon’s foreign minister, Gebran Bassil, who accompanied the dignitaries and whose political party is allied with Hezbollah. The attendees included the ambassadors of Russia, Iran and numerous African and Asian nations, as well as representatives of all the major European embassies. Absent was any diplomat from the United States. The U.S. Embassy did not respond to a request for comment. The areas visited were those identified as Site 2 and Site 3 on Netanyahu’s map, foreign ministry officials said. Site 2 was apparently the clubhouse of one of Lebanon’s biggest soccer teams, Al-Ahed, which includes a soccer field, a swimming pool and a gym. “As you can see, there are no missiles here,” Bassil told the diplomats as they stood in the middle of the soccer field. Site 3 was a seemingly abandoned warehouse that didn’t look like it had been used for anything in a long time. The golf course was included on the tour by mistake, Lebanese foreign ministry officials said. The third location, identified as Site 1 on the Israeli map, was not part of the itinerary, but the officials said they were sure there weren’t any missiles there either. All three sites are in the densely populated, mostly Shiite neighborhood of Ouzai, where support for Hezbollah runs strong. Photographs of the faces of young men from the area who died fighting for Hezbollah on behalf of Assad hang on the streets. The diplomats, speaking on condition they not be identified, observed that the tour seemed inconclusive given that one of the sites was excluded. Moreover, the diplomats said, the map displayed by Netanyahu was too indistinct to ascertain the exact locations of the purported missile sites. Netanyahu accused Hezbollah of “blatantly lying,” saying that the group had removed evidence of the presence of missiles before the ambassadors visited. Left unaddressed by the tour was Hezbollah’s routine boast that it possesses a huge arsenal of missiles, which are presumably hidden somewhere in Lebanon. Israeli estimates put the number of Hezbollah missiles and rockets aimed at Israel at over 100,000, a figure not disputed by Hezbollah. Asked where the missiles are stored, Bassil said it was not his ministry’s job to establish that. 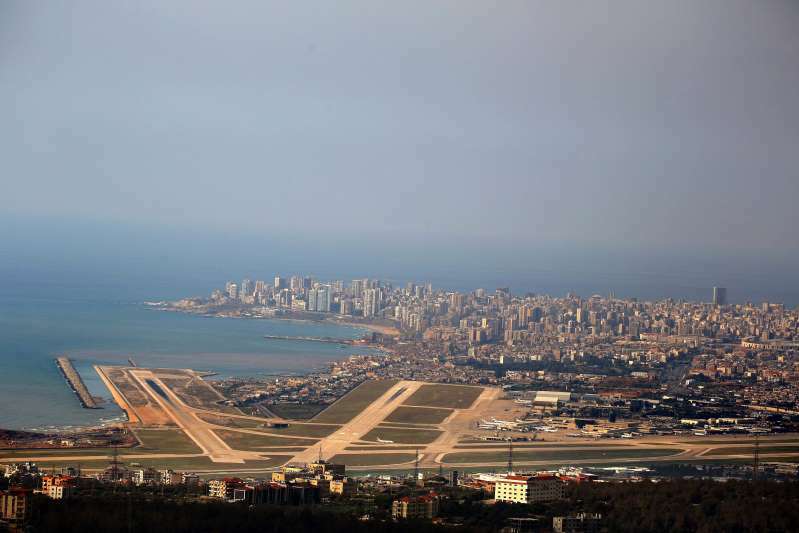 Although Hezbollah acknowledges that it possesses precision guided missiles, “this does not mean that they are stored in the vicinity of Beirut airport,” Bassil said. Israel has repeatedly pledged to prevent Hezbollah from acquiring such missiles, which have the potential to inflict large-scale casualties in Israel and recalibrate a balance of power that has seen Israeli airstrikes kill many Lebanese during past wars. Most of the scores of airstrikes conducted by Israel in Syria in recent years were intended to prevent Iranian transfers to Lebanon of sophisticated weaponry intended for Hezbollah, according to Israeli officials. In a speech last month, the Hezbollah leader Hassan Nasrallah said Israel was too late because Hezbollah already possesses “highly accurate” missiles. “No matter what you do to cut the route, the matter is over,” he said. Israel has waged two major wars in Lebanon in the past four decades, and its troops occupied southern Lebanon for 24 years until 2000, when they were forced to withdraw under pressure from Hezbollah guerrilla attacks. Their last big confrontation, in 2006, ended inconclusively, and Hezbollah has since established itself as a major political and military player in Lebanon. The group’s fighters are returning from Syria with significant combat experience and have been assembling a formidable supply of weaponry. Its politicians won enough seats in parliament in elections in May to play a decisive role in forming the next government.